The Pipeline is the engineering Listserv sent to all undergraduates studying engineering at McGill University. Submissions to the pipeline can be made via http://pipeline.mcgilleus.ca; here you can issue the text body, header, any notes prior to publication, and even add attachments. If you're needs exceed the limitations of this web tool, please contact vpcomm@mcgilleus.ca. Editing:	Editing will take place on Sunday. If you need a blurb pulled, message vpcomm@mcgilleus.ca. The ECSESS department's listserv, the LiveWire, is one of the most actively updated and anticipated newsletters. Currently this listserv is restricted to electrical, computer, and software engineers exclusively. If you're interested in posting to this list, please contact ecsess.vpcomm@mcgilleus.ca. Navigate to the McGill LISTSERV homepage. 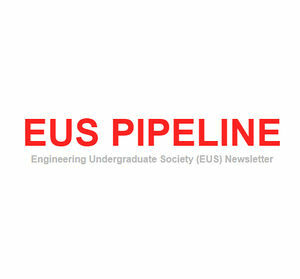 Find EUS_PIPELINE and click on it. Click "Get Password". Enter the email address to which you'd like to receive the Pipeline and a password. Click "Register Password". Go to your email account and click the confirmation link. Navigate back to the McGill LISTSERV homepage and find EUS_PIPELINE. This time, click on "Log In". Log in with the email and password you used earlier. Click "Subscribe" (if you'd like to subscribe) or "Unsubscribe" (if you'd like to unsubscribe). If you're unsuccessful in this process and are trying to subscribe to the Pipeline, email vpcomm@mcgilleus.ca and they will add you to a tertiary list of subscribers. This page was last edited on 18 September 2018, at 09:15.